Apart from enteringWhatsapp on the feature phone, there are many other changes made in this year. 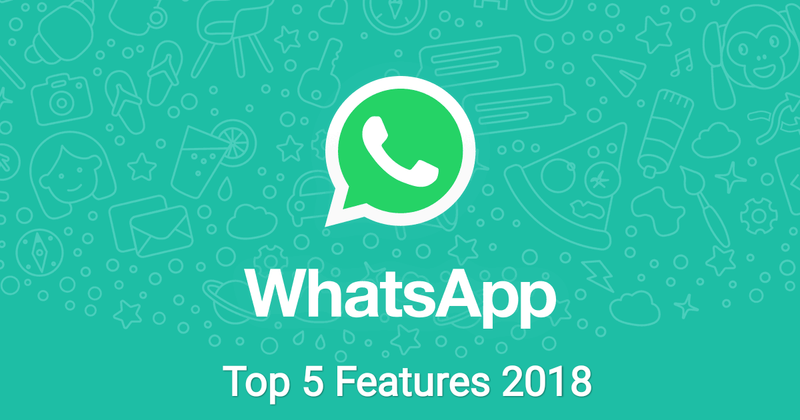 Now that this year is come to end, so let's take a look at the big features that were given this year in Whatsapp. It can be considered as the biggest feature of this year. Jio released this app in September for both its new Jiophone2 and Jiophone. Now since the support comes, feature phone users can also run Whatsapp. After a long wait, this year, Whatsapp added the group call feature this year. This feature was released in August this year. this feature permits up to four contacts to make audio or video call with each other simultaneously. The feature allows users to call and use 'Add Participant' icon to add three more participants from their contact list. The payment feature can also be called one of the biggest features of this year. This was announced in February this year and it is only in a trial for several reasons. It is currently only delivered to a few users. It is awaiting the approval of the RBI for issuing it for everyone. Whatsapp Approved Dissimis Edge's Feature in April this year. Through this feature, a group admin can demote another group admin. In order to do this earlier, the group admin had to remove the second administrator from the group and then had to add it. However, since the new feature, the other admin can be directly demoted. This is the latest feature released by the company. PiP or Picture-In-Picture mode is a multi-window mode through which users can run video in a small window and navigate between apps. This feature has been released for both Android and ios.